It is de rigueur these days to keep oneself busy when travelling. Where once travellers would just enjoy being in a place, it’s now almost essential to have an experience. It is with this fad for hyperactivity in mind that we dedicate this issue of hidden europe to the gentle art of doing nothing. It is de rigueur these days to keep oneself busy when travelling. 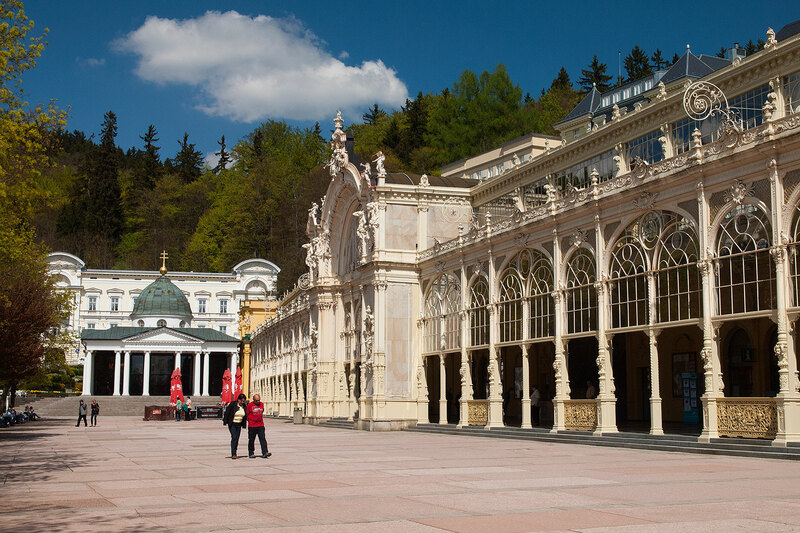 Where once travellers would just enjoy being in a place, it’s now almost essential to have an experience. Graubünden, the easternmost canton in Switzerland, lures mountain bikers from across Europe. Further south, one tour company offers a 12-day Grecian Legends experience which gives the participants — aged 5 to 99, they say — the chance to abseil in a dozen different places in Greece. It is with this fad for hyperactivity in mind that we dedicate this issue of hidden europe to the gentle art of doing nothing. In this issue, we celebrate a number of communities where we have thoroughly enjoyed doing very little. Spa towns are perfectly suited to this purpose, so we top and tail this issue with a brace of spas: one Bohemian, and the other Lithuanian. And there’s a common theme beyond water as, in each case, we play with the idea of memory. Islands are of course conducive to doing nothing, all the more so when they are no more than a few hundred metres long. We take time out on the only island in the Borromean archipelago to have a significant permanent population. This issue of hidden europe is published around the centenary of the armistice which marked the end of the First World War. The K&K monarchy was swept away in autumn 1918. The German Kaiser fled into exile in November 1918. New republics were established in Poland, Czechoslovakia, Lithuania and Latvia within just a few weeks in autumn 1918. But it was a time of very fluid geography. Who now remembers the shortlived Republic of Zakopane or the Lemko-Rusyn Republic, both small territories in the Carpathians that never survived long enough to feature on any atlas? The shape of a new Europe was defined in the months and years after the Great War. A century later, Europe is facing renewed challenges that require a commitment to shared values and mutual understanding. Our thanks go especially to the three guest contributors to this issue, namely Rudolf Abraham, Laurence Mitchell and Caroline Mills. The article on Leuven is Caroline’s first piece for hidden europe. We hope it will not be her last. This being the final issue of hidden europe for 2018, we wish all our readers a suitably penitential Advent and a joyful festive season. 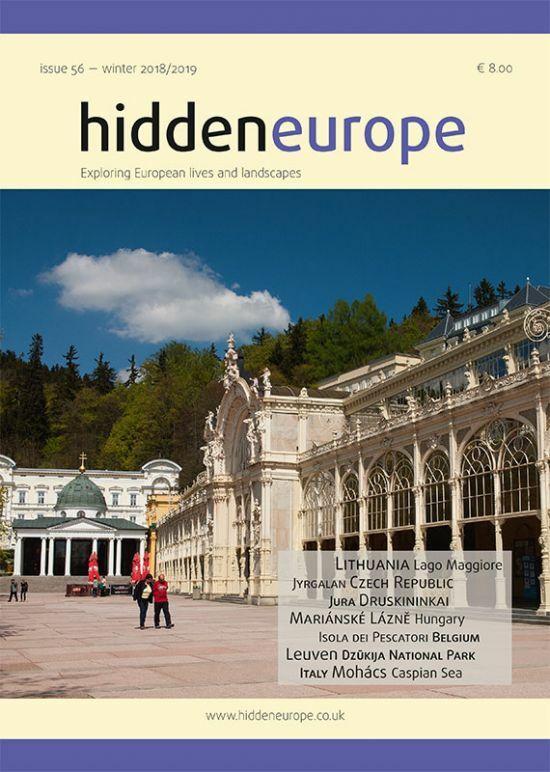 If you are ones for gift giving, bear in mind that a subscription to hidden europe, perhaps combined with a handful of back issues, makes a handsome present. It also supports the craft of good travel writing. Article © hidden europe 2018-2019. All rights reserved.